Bob Iger and Disney spent their day dropping bombs on us (in a good way), firstly, the new streaming service will be called Disney +. Secondly, they are developing new shows for the service based on character from the Marvel Cinematic Universe. Thirdly, we already knew about The Mandalorian, now we received news about another exciting series about to hit us like a thermal detonator. 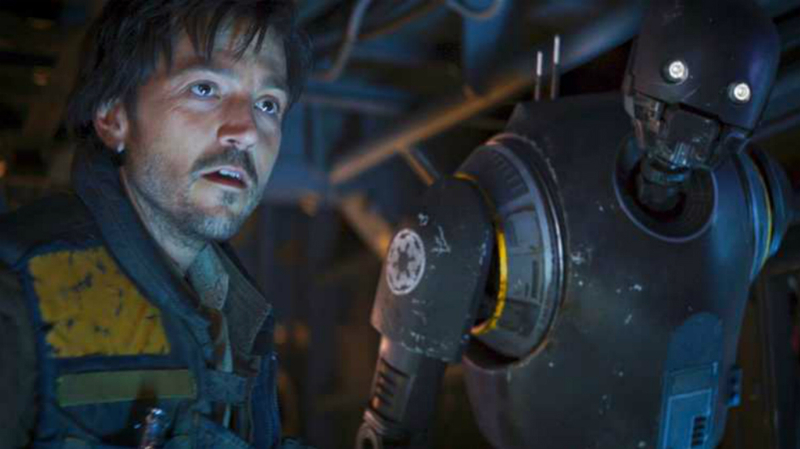 Diego Luna is coming back to the Star Wars universe. He will be reprising his role as Cassian Andor, who last we saw was on a planet being destroyed by the Death Star. The spy will be featured in a spin-off series that will be a prequel to 2016's Rogue One: A Star Wars Story, which is a given seeing that as I said before, he was on planet that was exploding last we saw him, and that's usually game over man. Diego said, "Going back to the Star Wars universe is very special for me. I have so many memories of the great work we did together and the relationships I made throughout the journey. We have a fantastic adventure ahead of us, and this new exciting format will give us the chance to explore this character more deeply". This leaves a burning question in my brain, will Alan Tudyk and K-2SO also be back? They seemed to have a well formed friendship in Rogue One, if so, this will be epic.